Like the 4Cs of a true diamond, the rarest and most exclusive stones must pass a strict series of tests before they can be classified and sold.  In the same way, every Elite HTS chair must also meet a stringent list of Diamond Elite Certification standards before they leave our factory floor to be enjoyed by discriminating clients worldwide. Once certified, each custom chair order is individually registered with an included certificate, signed by the craftsman who inspected it. We don’t pull anything from stock. Instead, every custom chair is handmade by our master craftsmen to the exact needs of each client and inspected by our renowned production manager before being certified and shipped. Our chairs are built with an all-wood ¾“ thick frame to ensure the highest level of durability and comfort. 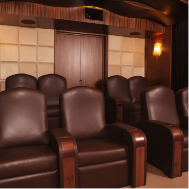 Traditional theater chairs use “thin-wall” plywood and composite construction methods, resulting in lighter chairs that can wear and break more easily. 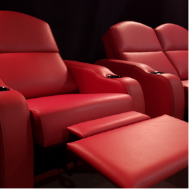 Our cinema chairs are engineered for VIP cinemas and commercial applications, resulting in a robust weight of almost 200lbs per chair (90kg). The heavy-duty frame makes up approximately 75% of the total weight itself. The base of any chair is essential as it provides the foundation for your viewing experience. 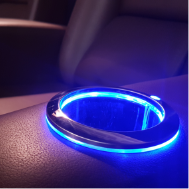 We have designed a base that is hollowed out from a single piece of wood, ensuring there are no joints or nails that can become loose over time and compromise the strength of the whole chair. Rather than using regular nails or staples to hold our chairs together, we use a combination of fitted joints, wood screws, and glue to ensure the most stable and secure frame possible. 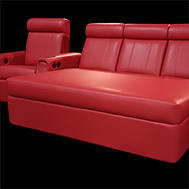 Traditional home theater chair arms are reinforced at the base which can become loose and shaky over time. Our chair arms are reinforced much higher up the frame to provide superior stability and durability. Every Elite chair comes standard with German-engineered power recline mechanisms that include thicker steel arms, reinforced bracing, and a smooth reclining motion. 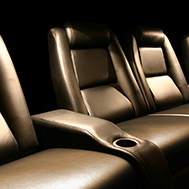 Regular theater seats require significant wall clearance as only the back of the seat reclines. 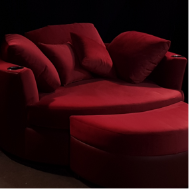 By comparison, our seat cushions move down and forward as the seat reclines, requiring only 4” of clearance at the back wall. Lower-quality chairs use a basic frame and square cushions to support your body, resulting in back pain and discomfort with use. 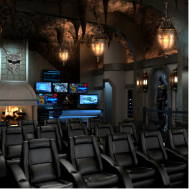 Elite HTS chairs have been ergonomically designed and chiropractor-approved with proper lumbar support and alternating densities of foam throughout the chair to provide a more comfortable seating experience, especially for prolonged viewing sessions. 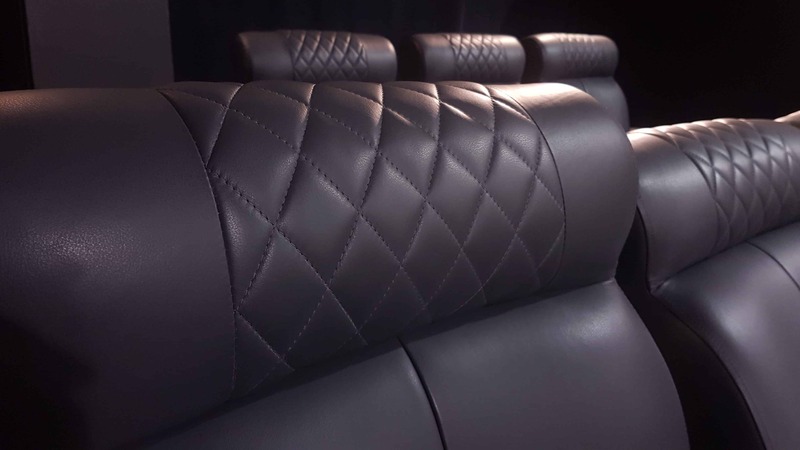 While the industry standard warranty is one to two years, we provide a full 20-year warranty program on all machinery and a 5-year warranty on our foam and upholstery to ensure our valued customers are taken care of for many years. 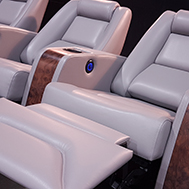 When you refuse to compromise on quality, make sure your home theater seats are Diamond Elite Certified.